2016 US reissue on 180g vinyl LP-Madeleine Peyroux is the real deal. She brushes off comparisons to Billie Holiday, but it's certainly not bad company to keep. This is a beautiful record flowing with sparse arrangements and sultry vocals. If you like Norah Jones, wait until you hear this! 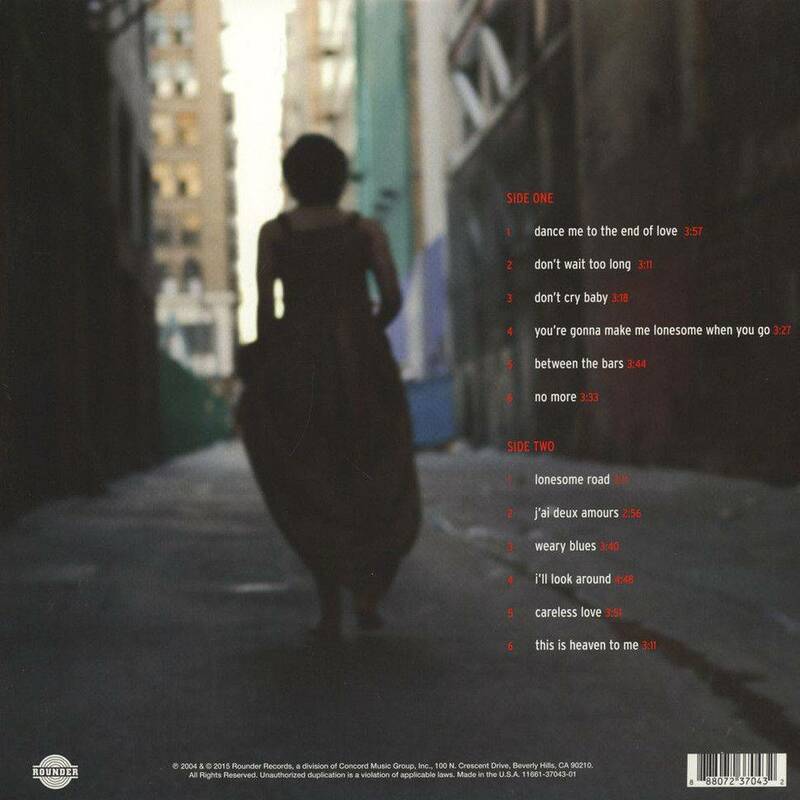 The 12 songs found on her 2004 sophomore set Careless Love feature a mix of acoustic blues, country ballads and torch songs showcasing Peyroux's sultry alto. Recorded at Market Street, Venice and Paramount Recording Studios, Hollywood. Larry Klein management for Worlds End (America) Inc. Highlights include "Don't Wait Too Long" composed by Peyroux, producer Larry Klein (of Joni Mitchell fame), and Jesse Harris (best know for his contributions to Norah Jones' hit album Come Away With Me). Also exemplary are Peyroux's warm renditions of Leonard Cohen's "Dance Me to the End of Love" and a lightly-swinging arrangement of Bob Dylan's "You're Gonna Make Me Lonesome When You Go." "Madeleine Peyroux's first release in eight years is a moody, haunting masterpiece that will soon be playing in every coffee house and cozy bar in the country. It's a whale of a record. Peyroux's voice is amazing – grainy, intimate and unaffected, with a bluesy lilt that at times recalls mid-career Billie Holiday. In fact, her singing recalls not just Holiday but the generation of singers who came up in the 1930s – people like Lee Wiley, Connie Boswell, Maxine Sullivan and Cliff Edwards – who sang with an unembellished directness and intense sincerity." - David French, All About Jazzsold.